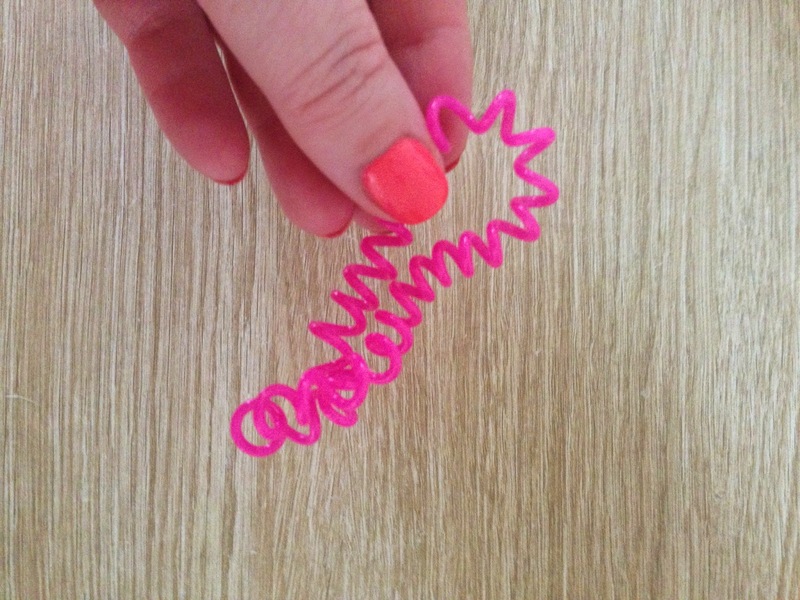 A few weeks ago I wrote a post about the Primark coiled hair ties and in the post I mentioned I wanted to try the Invisibobble to see how it compared. I had seen a lot of bloggers talk about the invisibobble and they had all given them rave reviews saying they don't tug your hair and they don't leave a mark when you remove them etc etc so I thought "yippee I'm going to try those" so I did. I picked up the Invisibobble in pink from Boots there were only 3 shades to choose from, Pink, Black and Clear although I have found out since that the Invisibobble does come in up to 14 different colours. 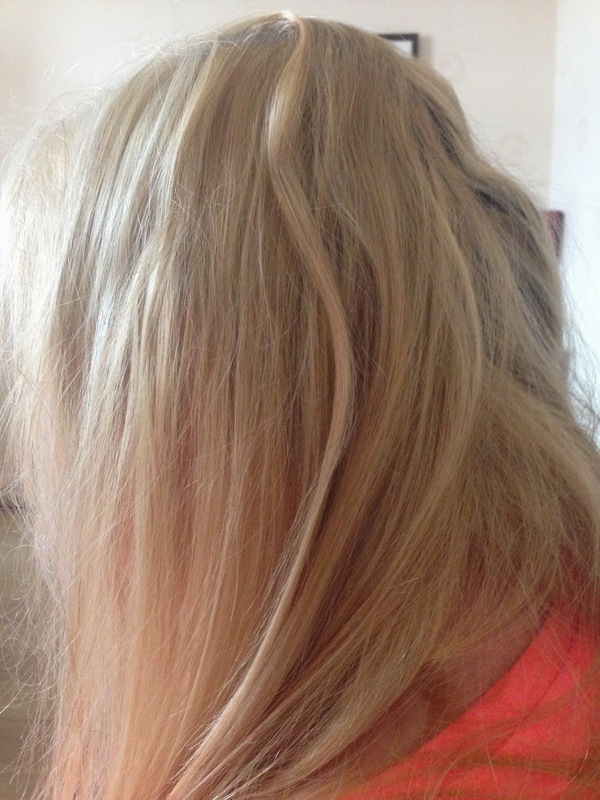 The company Invisibobble claims that this is a traceless hair ring and one that won't cause a kink in your hair when removed, doesn't cause headaches, it is easy to remove and doesn't tug the hair, it avoids split ends and breakage, it has a strong grip and is compatible with all hair types. I had read very similar claims on a lot of blogs too. The pack comes with 3 small hair bobbles or hair ties if you prefer to call them that and it has a bit of info on the pack about the "traceless hair ring" the pack of 3 is £3.75 and as I said I bought mine from Boots. I was really excited to try these and also gave one to Alicia to try, Nichole doesn't ever wear a pony tail so she didn't want to try one. I wrapped the Invisibobble round my pony tail as I would with any bobble or hair tie and left it, my hair stayed in the pony tail as it usually would and I left it in for around 2 hours. When it came to remove the invisibobble a couple of hours later it was very hard to remove and I pulled out loads of hair when pulling it out and it hurt too, I would imagine if you are very hair sore this would be very unpleasant for you. I eventually managed to remove the invisibobble and it didn't look anything like it did when I put it in, I left it over night and then took a photograph to show you how it looked 14 hours later. As you can see it has stretched, it hasn't ever gone back to it's regular size and is now even more stretched than shown in the above photograph. The most disappointing thing for me though was my hair, I had high hopes for my hair and was hoping to be able to brush it and maybe straighten over it and then film a video for my YouTube channel but when I removed it I was left with a kink in my hair as if I'd used one of my regular hair bobbles. I was so disappointed, especially as the kink wouldn't straighten out so I had to wash my hair again, the photograph isn't the best I'm afraid but I do hope you can see that there is a definite kink in my hair, this was after only a couple of hours wearing the invisibobble too. I expected to be able to remove the bobble and have no kinks at all. If I wear the invisibobble all day the kink is ridiculous and very very obvious, but even after a couple of hours wearing it I couldn't brush or straighten the kink out. My overall thoughts are that the Invisibobble is absolutely rubbish, it is a complete waste of £3.75, they do leave a kink in my hair, they are a nightmare to remove as they hurt and pull loads of hair out with them, to remove them I have to unravel them or I'll end up bald! They stretch meaning after the first time you've worn them you need to wrap them round your pony tail a ridiculous amount of times meaning a huge kink and if you don't unravel them to remove them, a lot of hair loss and tears. They are awful and once again I have fallen foul of "blogger hype" Alicia found exactly the same results as me, she was left with a kink and she finds them hard to remove and they tug and pull her hair out too. I would definitely 1 million percent NOT re purchase the Invisibobble, it is an awful product that does nothing it claims to do. I think in future if I want coiled hair bobbles I will stick with the Primark ones that are 5 for £1.50 but to be honest with you I think I'll be sticking with my trusty old elastic hair bobbles! But if you would like to try them or you like them, you can find them on line at Feel Unique and Boots for £3.75. Feel Unique have the best colour range if this is something that interests you. 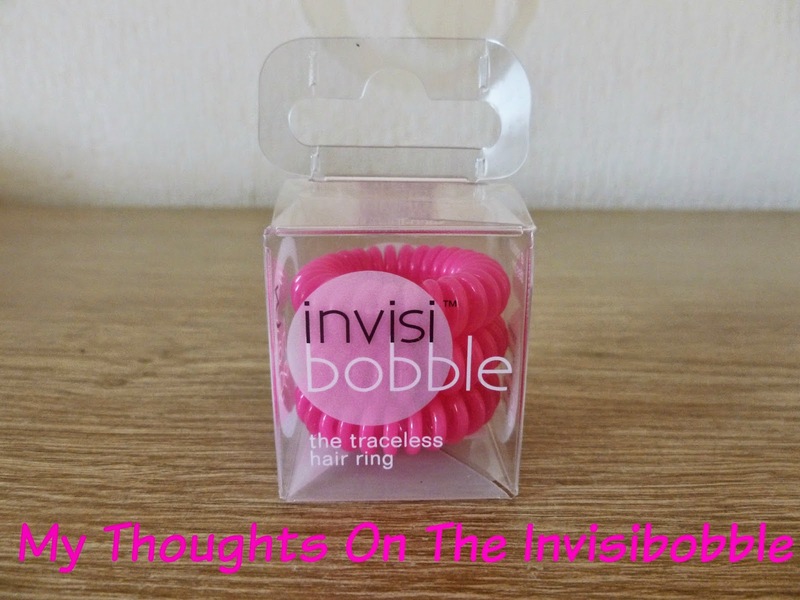 Have you tried the Invisibobble? Have you fallen foul of blogger hype? Let me know in the comments.